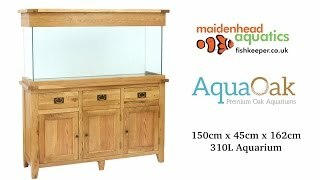 This 150cm / 5ft aquarium really is a piece of furniture! It comes with two cupboards and two sturdy deep drawers purely for storage, whilst the middle section comprises a faux drawer to increase the internal height available to fit a good sized external filter. 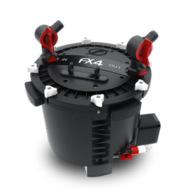 Direct from Manufacturer - This product is dispatched directly from the manufacturer and therefore is not included in our same day dispatch service if ordered before 3pm. This will normally be delivered to you within 15 working days (but could take up to 12 weeks if the manufacturer is currently 'out of stock' at the point of order). 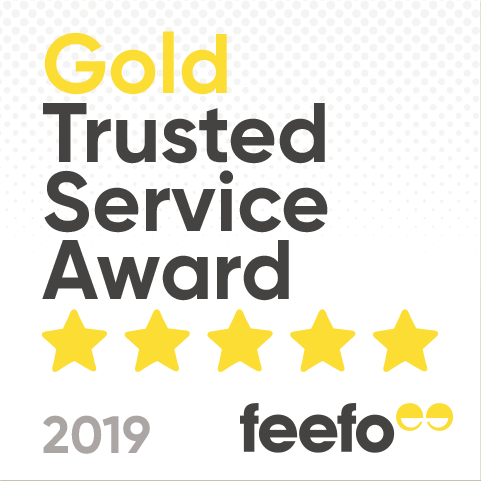 Once ordered, you will receive a phone call within 5 working days with a stock update and proposed delivery date, along with the preference of an 'am/pm' delivery slot. There is a £50 delivery charge at checkout for this service. 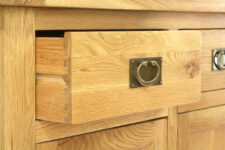 The middle compartment is drilled to allow access for pipework and cabling. This aquarium is also available with an open hood option, for suspended lighting. 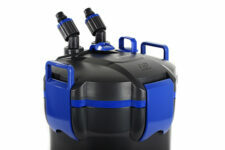 Please speak to your local Maidenhead Aquatics store for more information. Brought to you exclusively by the award winning Maidenhead Aquatics, leading the way in responsible fishkeeping procedures and innovation. This AquaOak aquarium set is currently only available to be delivered within England and Wales. 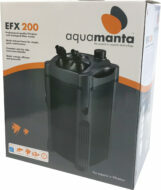 A £50 delivery charge applies to any AquaOak aquarium ordered online. 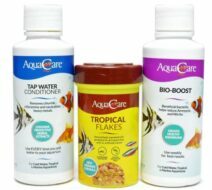 This is a non-refundable charge for all delivered online only AquaOak purchases. 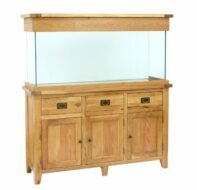 The aquarium set will be delivered into your home, the packaging removed and taken away, for you to inspect and sign for. 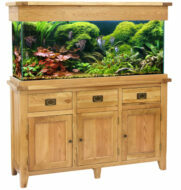 The aquarium set can only be delivered to a ground floor level, and up a maximum of no more than 3 steps. Please measure the size of your doorway to ensure the aquarium set will have sufficient clearance, as the cabinets and aquariums cannot be dismantled. 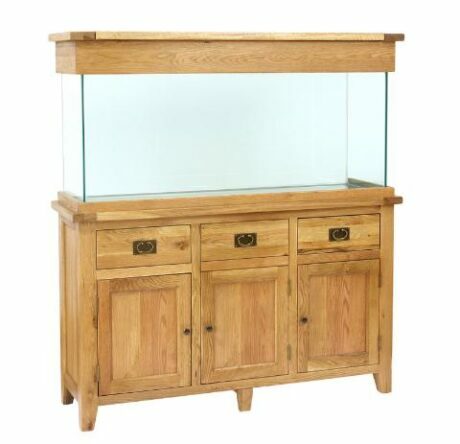 Every AquaOak aquarium is unique, meaning there will be some minor variations with the oak coloration and grain pattern. Both the cabinet and hood are made from a natural wood product, therefore it is important for you to take some time to care for and maintain the finish. Removal of the condensation glass and other modifications may invalidate any guarantees and cause the furniture to warp or tarnish. The aquarium will be supplied with a polystyrene base at no extra charge.